Soho has always been a very special place for me. It’s the part of London I’ve spent the most time exploring and I still venture there often now. I spent a lot of teenage years in Soho and I was determined that one day I would live there. Unfortunately that dream never did come true (ha!) but I still consider it my go-to when deciding where to meet up with friends. As a teenager I would go there to indulge in SNOG frozen yoghurt or buying American candy (which wasn’t so easily available 9 years ago!) A lot of my time was spent eating at The Stockpot, a quaint cafe where you could order huge homemade dishes for under £5. Sadly a Patty & Bun now resides there but fortunately Soho is full of lots of other brilliant foodie gems. But seeing as I spend so much time in Soho, every time I go there I see things I’ve never noticed before. It’s such a small part of London but even exploring in a day we didn’t get to see even half of it plus it’s constantly evolving. Soho is such a diverse and vibrant place so full of character, it’s the capital’s entertainment district (in more ways than one) with a quaint selection of independent shops and boutiques, some of the best bars and restaurants in the capital. 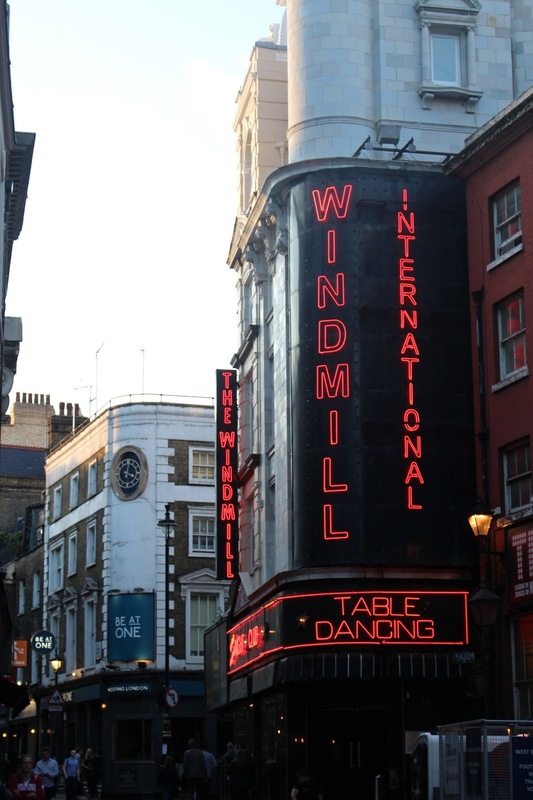 It’s an area which has an incredible music history and it’s a favourite with media types – plus it is the current HQ of London Fashion Week. When people come to me asking where in London they should visit I always say Soho. My day in Soho started at Damson & Co to grab some fuel ahead of exploring. Damson & Co serves locally roasted coffee, fresh juices, brunch until 5pm and delicious pastries. In the evening they offer a wide range of British charcuterie and cheese, oysters, hot dogs and salads. I checked out their beetroot latte (sweet and tasty with a bitter kick) and their avocado on toast with feta was insanely good. 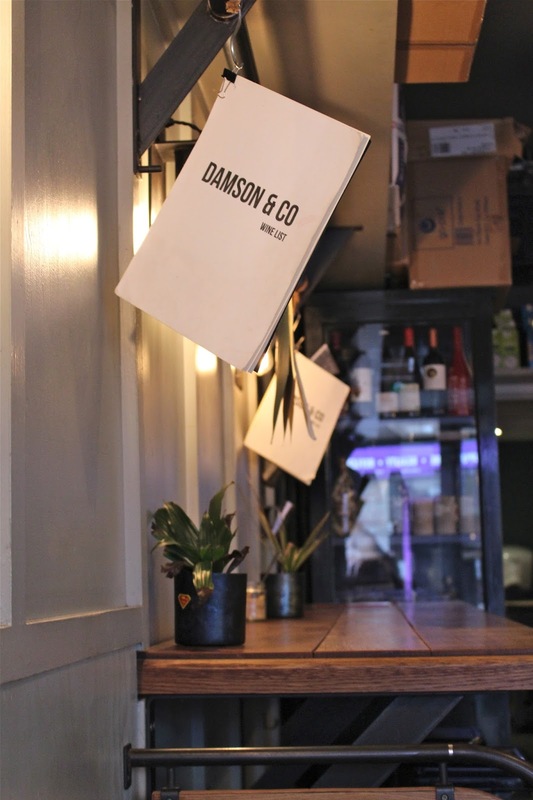 Damson & Co is a coffee bar in the day and transforms into a wine and cocktail bar by night with an impressive wine and gin selection. The service is top notch too with such friendly staff! Cutter & Squidge sell the cutest desserts so we just couldn’t resist! I’m a huge matcha lover so I went for the matcha cake and a matcha latte and I even tried a bit of my friends Biskie which was ridiculously tasty. We sat at the back of the beautiful cafe and drifted into a sugar infused food coma. After spending the majority of the morning pigging out, it was time to hit the shops. Soho is located a stone’s throw from Oxford Street so it’s the perfect place to go or food and drinks after some retail therapy. However, Soho is also good for shopping too with many gorgeous independent shops. space that houses footwear and clothing. Here’s a few of items from their collection including their creepers which the brand is renowned for. Over the years, Underground has developed their range to keep up with the trends. They sell a selection of trainers which have that Underground twist in their design. Underground doesn’t just sell shoes, but they also sell a selection of hoodies, t-shirts and bags with a Punk, Northern Soul and Indie influence. Featuring a redesign of the Oasis album cover shot in Berwick Street. I feel in love with these holographic, ‘mermaid’ style, oil slick creepers. reissues across a range of genres. The store buys and exchanges most kinds of music so you’ll be spoilt for choice! If you are looking independent designers then check out Sandqvist which is Swedish fashion and accessory brand. 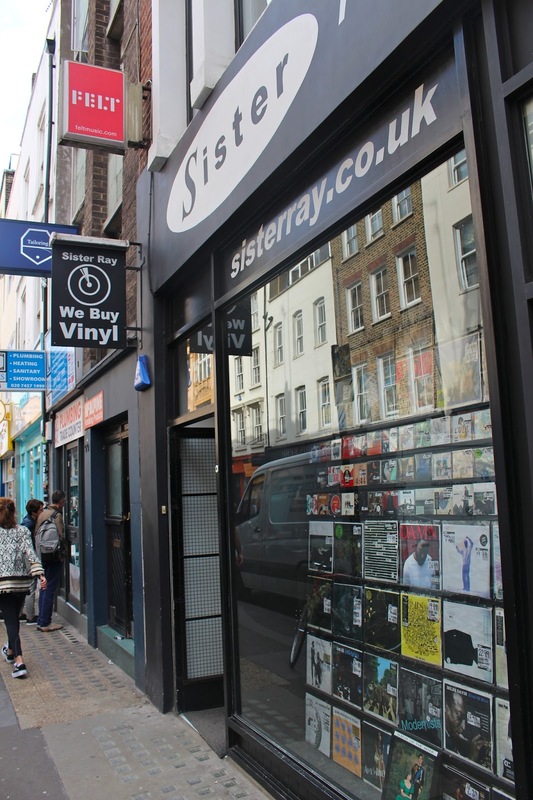 The Berwick Street shop is their first ever UK flagship store. 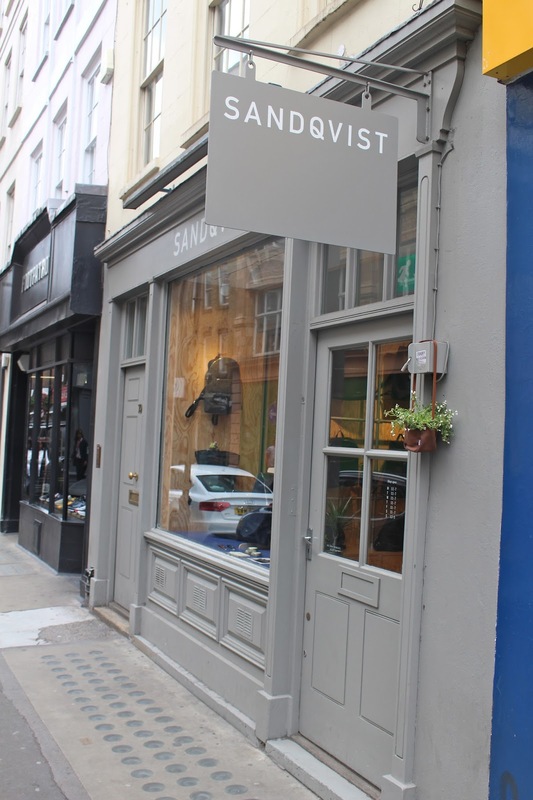 The brand is influenced by Scandinavian nature and functionality, the store is home to new releases alongside the full range of 130 styles, from canvas backpacks to leather handbags, and their first ever vegan collection! My personal favourite has to be Reign Vintage. This store has an unrivalled reputation for premium grade designer vintage clothing, their collection was unreal! I was amazed by the beautiful and colourful pieces, all hung up in a neat colour coordination. Some of their vintage pieces included Aquascutum, Moschino, Celine, CP Company and Moncler. Renowned for their dip-dyes and pastel colours, young British hair brand BLEACH also has a salon located on Berwick Street. This edgy salon offers cut, colour, highlights, root treatments and blow dries plus they’ve also just released a new make-up range with an eyeshadow called “Berwick Street”! You can see their amazing work on their Instagram. All that shopping is thirsty (and hungry) work…so we stopped by Yumchaa. Which serves one of the best chocolate brownies I have ever had, it makes me drool just thinking about it! The cake selection is amazing plus they have over 40 teas being brewed daily. 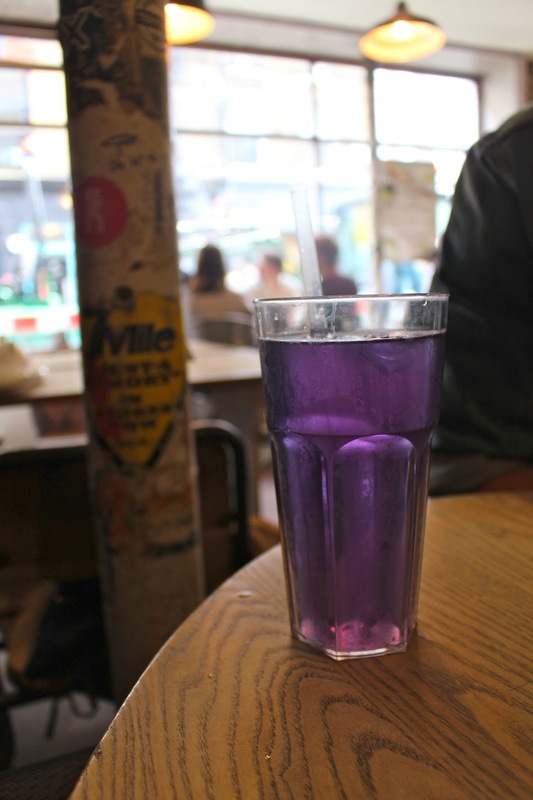 And where else can you get a colour changing tea????? 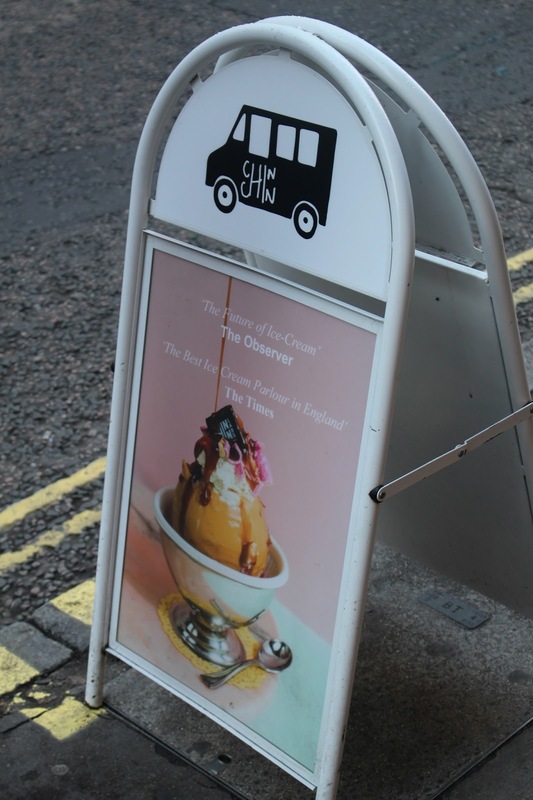 Soho is filled to the brim with gourmet delights and it is where you will find some of London’s most quirkiest places. Such as a cafe dedicated to cheese toasties called Melt Room and a bar and restaurant which specialises in chips and dips – HIPCHIPS. 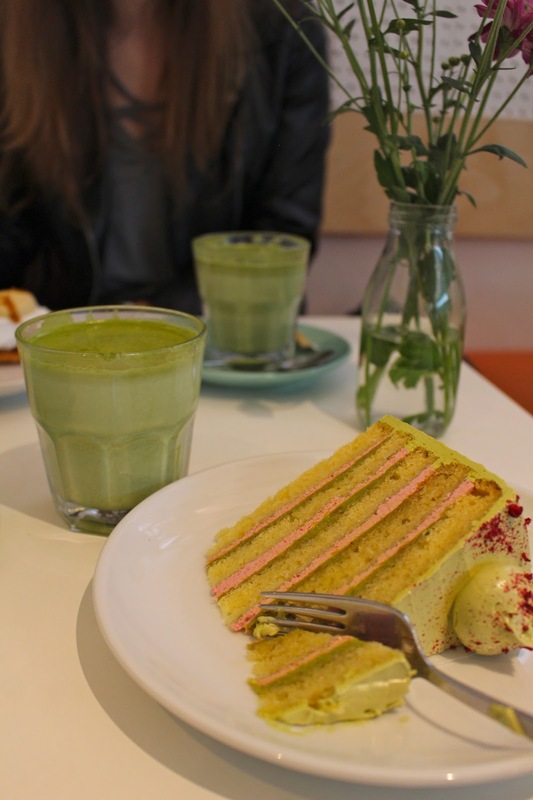 If you’re a matcha fan there’s a matcha bar in Soho – Tombo, which serves a pretty good matcha juice! Be at One is an all time favourite of mine. I’ve introduced countless people to this bar and it is always a hit. If you are in Soho you have to visit the Greek Street (pictured) or Piccadilly Circus branch and make sure you visit for happy hour – it’s 2 for the price of 1. Trust me, you will not be disappointed. Or you could stop by The Duck & Rice like we did and be totally blown away. The Duck and Rice is described as a Chinese gastropub, it is a place inspired by both Asian and British traditions. This is shown through the interiors, it has a style of a traditional London Victorian pub with elegant Chinese decor. The pub side offers an extensive selection of premium lagers, ales, ciders and a stout from traditional brewers which are stored in their shiny copper barrels. Plus they offer really tasty bar snacks like Pork scratchings which I highly recommend. Wash these down with a Lilly’s Bee Sting cider which is incredible – sweet and fizzy and dangerous at 7.5%! We sat on the balcony, which was covered so was perfect even on a rainy summers eve, and indulged in some of the best Chinese dishes in London. You can view the menu here which includes a fine selection of Chinese classics as well as other Asian favourites such as Singapore Laksa and Ramen. We started with my favourite – pastry puffs (£6). These were filled with a mouthwateringly good venison in a sweet glaze. These immediately that The Duck and Rice’s dim sum had a lot going for it and we were in for a treat. For our second Dim Sum dish we went for the Sichuan vegetable dumpling (£5). These little dumplings were so full of flavour, we practically fought over who had the third dumpling. The prices may be a little steeper than what you usually pay for dim sum, but they are totally worth it as it’s guaranteed you’ll get what you pay for. We couldn’t go to The Duck and Rice without trying the famous duck and rice (£13.50). I haven’t tasted duck like this since I was in Beijing. I’ve been craving it ever since our trip there and well, now I know where to go! It was absolutely perfect – it wasn’t fatty at all but so full of flavour with a juicy but crispy, sweet skin. After trying the duck, we couldn’t resist seconds. So we plumped for a quarter of the roast duck (£15) which came served with pancakes, cucumber, celery and hoisin sauce. Stolichnaya vodka, Mr Black coffee liqueur, espresso, and Oyster Stout. We also tried the Tank Old Fashioned mixed with Woodford Reserve Bourbon, beer sugar, orange bitters and Pilsner Tank Beer (£11). Both cocktails were extremely tasty with a very very light hint of beer. But to be honest, if I didn’t know that these contained beer that I probably wouldn’t have even noticed! Well, I think I may have found my new favourite London restaurant. You can get to Soho by Underground from Oxford Circus, Tottenham Court Road and Piccadilly Circus or from Charing Cross by National Rail. For bus options see here. 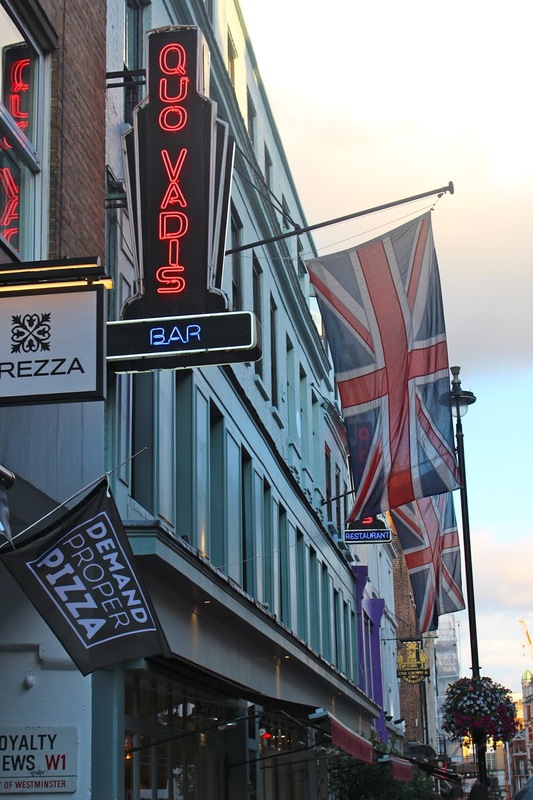 Where is your favourite place in Soho?